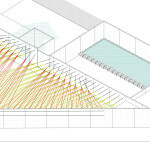 The canopy departs from the last few object-based interventions, such as Wendy, Hy-Fi, and COSMO. 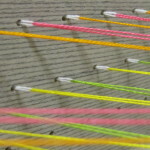 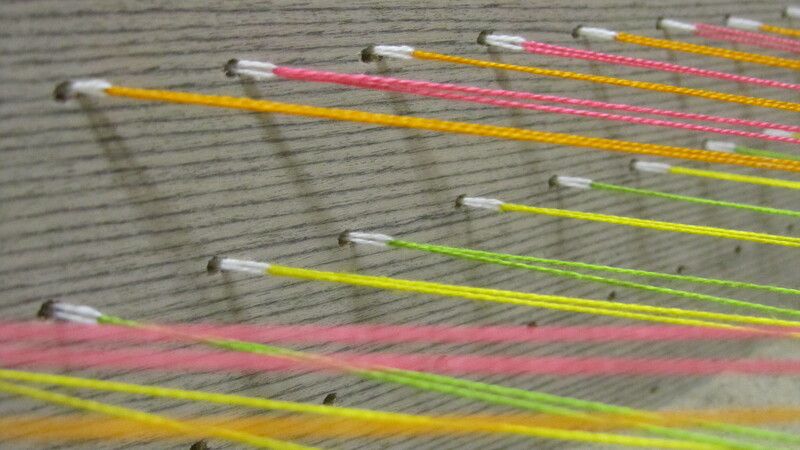 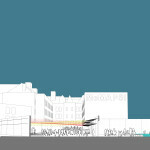 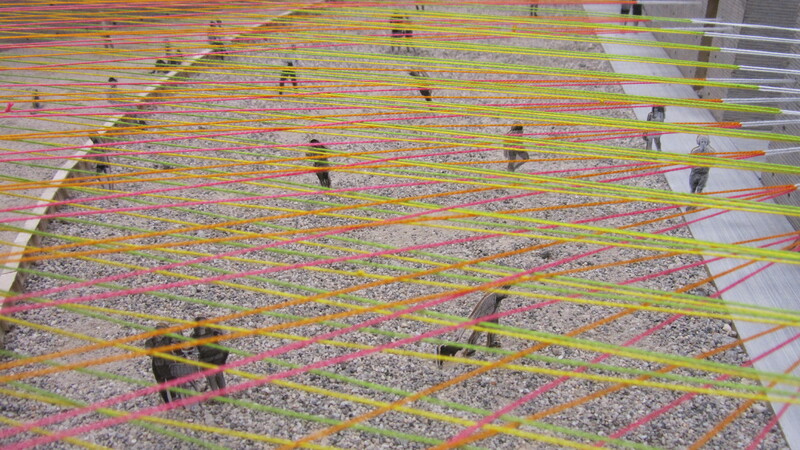 A vibrant, colorful landscape will be created by using the formwork holes in the walls to anchor colored bands. 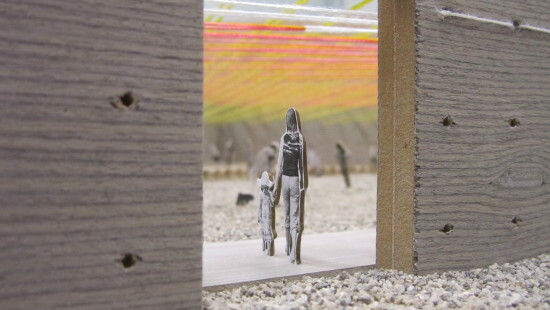 Water will again be an experiential component, as a wading pool will allow visitors to cool off in fresh water. 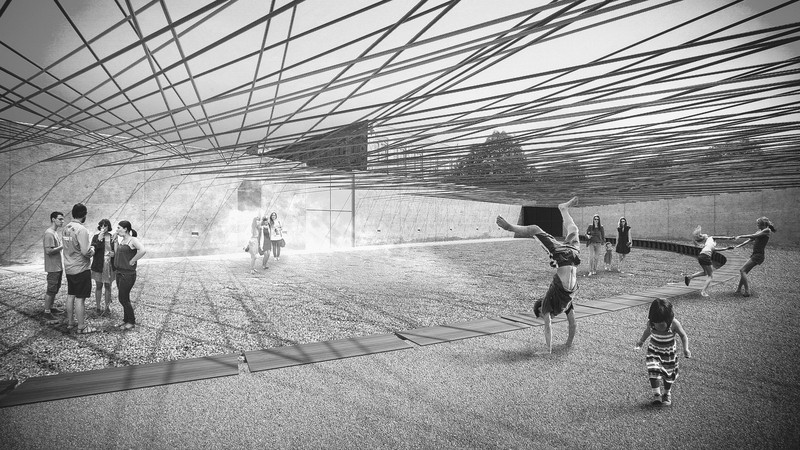 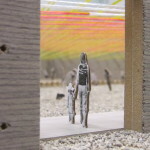 “This year’s finalists of the Young Architects Program explored a range of approaches, materials, and scales to effectively question the MoMA PS1 courtyard as an arena for escape. 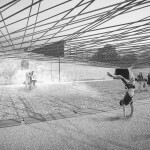 Escobedo Solíz’s ingenious proposal speaks to both the ephemerality of architectural imagery today but also to the nature of spatial transactions more broadly. 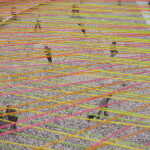 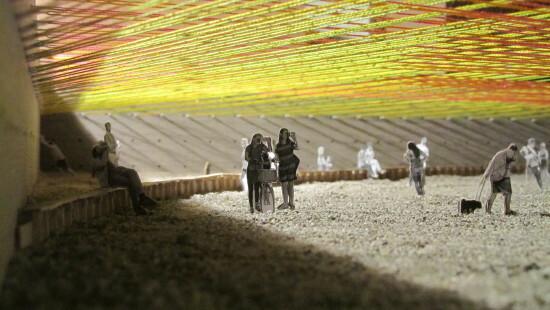 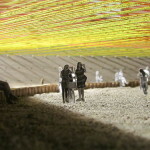 From the evocative woven canopy that will engage visitors overhead to a reflective wading pool, Weaving the Courtyard sensitively brings together elements of MoMA PS1’s Warm Up Series with an exuberant collection of zones and environments,” said Sean Anderson, Associate Curator in MoMA’s Department of Architecture and Design, in a statement. 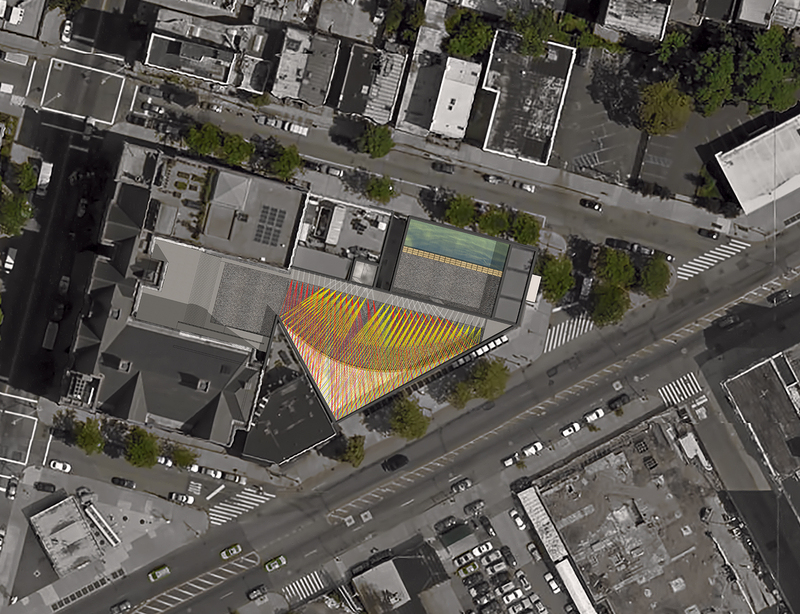 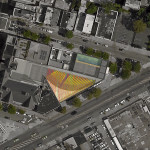 The other finalists for this year’s MoMA PS1 Young Architects Program were First Office (Andrew Atwood and Anna Neimark), Ultramoderne (Yasmin Vorbis and Aaron Forrest), COBALT OFFICE (Andrew Colopy and Robert Booth), and Frida Escobedo. 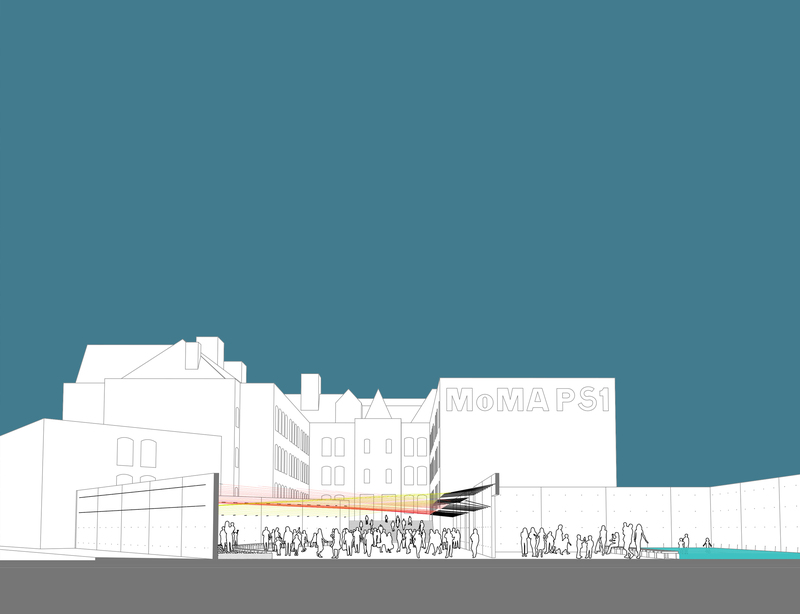 An exhibition of the five finalists’ proposed projects will be on view at MoMA over the summer, organized by Sean Anderson, Associate Curator, with Arièle Dionne-Krosnick, Curatorial Assistant, Department of Architecture and Design, MoMA.